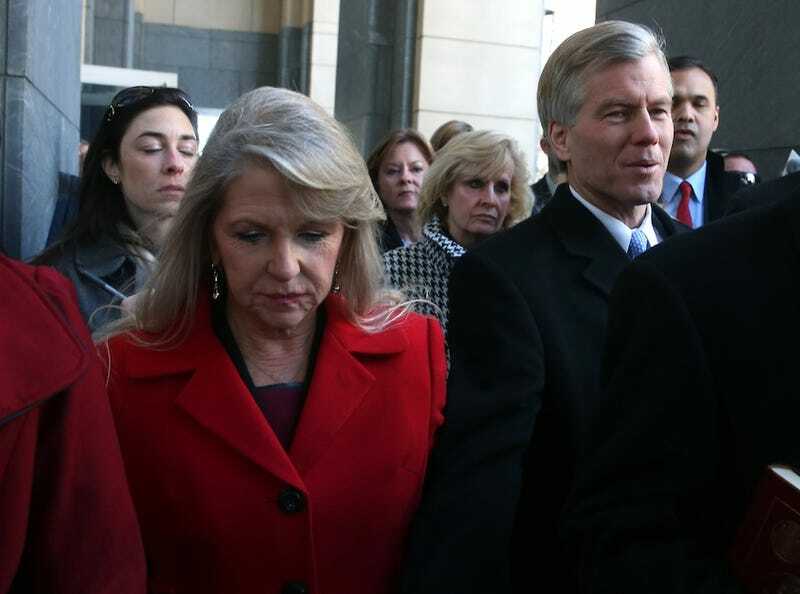 It's just drama, drama, drama for the family of former Virginia Governor Bob McDonnell, who was convicted alongside wife Maureen McDonnell on multiple public corruption charges back in September. My dad is the least materialistic person that I have ever known and he has never cared about things...my mom, in contrast, has always been concerned about getting discounts or freebies. This was one of the main reasons she would not communicate with him. She hid her coordination with people for free or discounted things or services and she didn't communicate with my dad because she knew he would not approve. She became lonely when my dad got busier and began to fill that void with things many years ago. There was barely any communication between them unless it was my mom yelling at my dad about a myriad of things. She disrespected many people and it frustrated him, which would cause many fights. These fights, however, consisted of her yelling without my dad ever raising his voice. Jeanine and her sister Caitlin were among 440 people—including former House leader Eric Cantor and Sen. Timothy M. Kaine (D-Va.)—who wrote letters seeking leniency in the January sentencing. Again, leniency for their dad. Have fun in jail, Ma! Oh, to be a fly on the wall during that Christmas dinner. Read both McDonnell daughters' full letters here.